Chamarajanagar: A tigress, which was injured in a fight, was rescued by the Forest Department and brought to Mysuru Zoo where it is kept under observation after being treated for its injuries. The tigress, aged between 7 and 8 years, which was severely injured in a fight at Hediyala Range coming under Bandipur Tiger Reserve Forest, was rescued by the Forest Department personnel using large nets and has been sent to Mysuru Zoo for treatment. 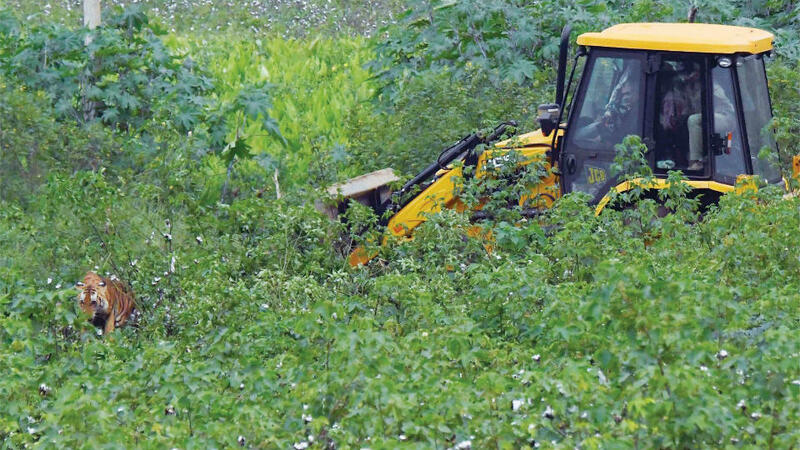 On Sunday late night, a woman who spotted a big striped cat at the cotton field in Doddabaragi village in Hediyala Forest Range, rushed back to the village and informed others who in turn informed the same to the Forest Department. 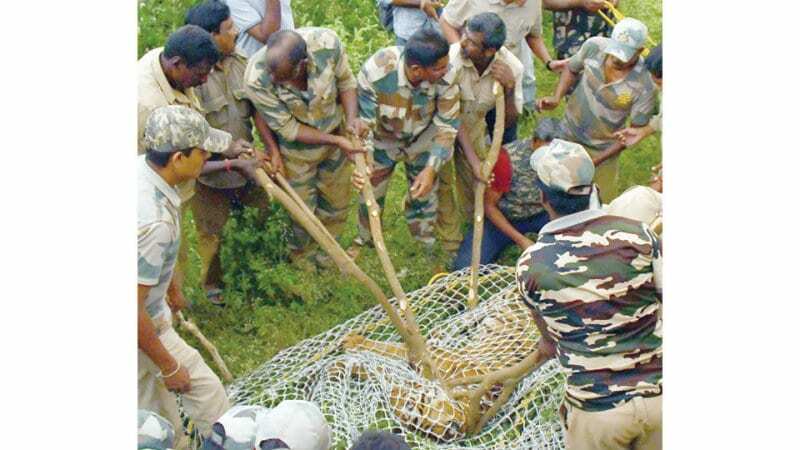 Forest Officials stand in an elevated position keeping an eye on the injured tigress below, before moving in with a JCB to throw the net. The Department officials and staff who conducted a search operation to nab the tiger, found it injured and writhing in pain. The officials, who tranquillised tiger and using large nets captured it and shifted it to Mysuru Zoo where it was provided treatment. Veterinarian Dr. Nagaraju, speaking to Star of Mysore, said that the tigress has been injured badly on its neck, chest and legs in a fight with another tiger and has become weak. The tigress has been provided with necessary treatment and is recovering, he added. Meanwhile, Mysuru Zoo Executive Director C. Ravishankar, told Star of Mysore this morning that the tigress has been administered with painkillers and other medicines and is being kept under observation today as it is very badly injured. Veterinarians are closely monitoring the tigress and even the officials are monitoring it through CCTV, Ravishankar said and added that they would see how the tigress responds to the treatment and continue with the treatment. 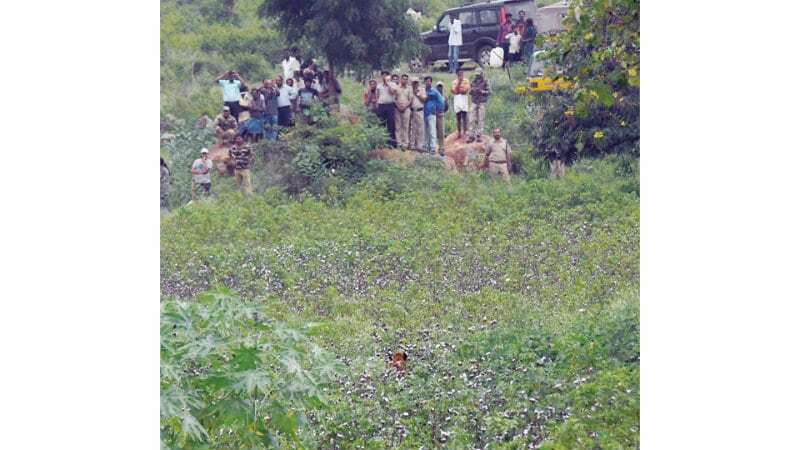 ACF Paramesh, RFO Pradeep, Forest Department officials and staff took part in the operation.